Even as victims of industrial disaster caused by Union Carbide Corporation (UCC), currently owned by the Dow Chemical Company (DOW), USA await relief and justice, an NGO, Toxic Watch, has given a new twist to the fresh evidence that surfaced in 2013 on how UCC’s unit in Bhopal got the industrial license on 31stOctober, 1975. UCC, the 37th largest company in the world had applied for industrial license for manufacture of 5000 tones MIC-based pesticides through its Indian subsidiary on January 1st, 1970 but did not get it till Emergency was imposed on the mid night of 25th June 1975. It got the license under the Registration and Licensing of Industrial Undertakings Rules, 1952. An application for the registration of the plant was made by Eduardo Munoz, headed the South and East Asia divisions, Agricultural Products Division (APD), UCC, to the Ministry of Industry (earlier called Ministry of Industrial Development), Government of India. The application for industrial license as made by Munoz establishes the liability of Dow which now owns UCC. The foreign investors were limited to 40 per cent ownership of equity in Indian companies but Indira Gandhi government waived this requirement in the case of UCC’s subsidiary company. The diplomatic Cable dated September 11th, 1975 from US Secretary of State Henry Kissinger to the US Embassy in India, as exposed by Wikileaks in 2013, revealed the support the US government gave to UCC, USA, in securing loans from the US Exim Bank for its Bhopal operations. On September 22nd, 1975, in a loan application to a US export bank, UCC’s subsidiary announced that it will source and provide valves, instrumentation, safety equipment and engineering services to the plant in Bhopal. Leaking valves, unable-to-cope safety systems and inadequate control instrumentation are primary factors in the disaster nine years later. On October 31st, 1975, the industrial license was issued when the country was brought under Internal Emergency wherein even the right to life was suspended. According to Gopal Krishna of the TWA, the issue of the license to UCC was possible only because of the Internal Emergency, imposed by Indira Gandhi, whose conviction and disqualification as a Member of the Lok Sabha was only erased by the Supreme Court in November 1975. Following the disaster as a consequence of the grant of a flawed industrial license and subsequent acts of omission and commission by the corporate culprits, the proceedings against Warren Anderson, the head of UCC, UCC and its subsidiaries was initiated. With the death of Anderson on 29th September, 2014, the case against him have become infructuous, but cases against the corporate entities remains intact. At present the criminal case against the three absconding accused, is pending before the Court of the CJM, Bhopal, as Miscellaneous Judicial Case (MJC) No.91 of 1992. The CJM had issued notice to the Dow, USA, on 6th January, 2005 to appear in the criminal case on behalf of the absconding accused UCC, USA, which became a subsidiary of Dow in 2001. Notably, the Madhya Pradesh High Court, Jabalpur indefensibly stayed the said order of the CJM March 17th, 2005 on the application of an entity which was supposedly a non-party in the matter. On 19th October, 2012, the High Court upheld the validity of the CJM’s Order dated 6th January, 2005 and vacated the stay after seven years. The CJM, Bhopal re-issued notice to Dow on 24th July, 2013 and on 12th November, 2014. But Dow chose not to respond to the notice. The next date of hearing before the CJM is 19th December, 2015. In a press release, Gopal Krishna of the green NGO, Toxics Watch Alliance (TWA) has demanded that Madhya Pradesh Government should table the Kochar Commission report and an action taken report (ATR) in state legislature to make it public. 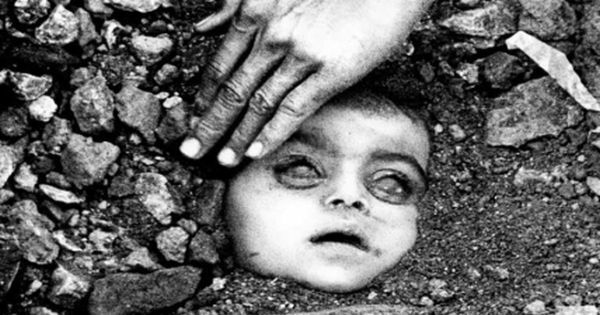 Justice S L Kochar Inquiry Commission was constituted by Madhya Pradesh Chief Minister on October 5, 2010 to enquire into aspects of the leak of toxic gas from Union Carbide factory in the intervening night of December 2-3, 1984. More than five years have passed but the commission’s report is yet to see the light of the day. In the meantime, Madhya Pradesh High Court’s division bench of Chief Justice Ajay Khanvilkar and Justice Vandana Kasrekar admitted a petition on November 20, 2014 demanding that the report of Justice Kochar commission be made public. Notably, Justice N K Singh Inquiry Commission started its work on March 26th, 1985, a day prior to the discussion in the Madhya Pradesh legislature although it was notified about three months ago. It is evident that quite like the Congress led state government that prematurely terminated the Justice Singh Inquiry Commission on December 15th, 1985, BJP led state government is withholding the report of the Justice Kochar Inquiry Commission contrary to public interest, the interest of victims and justice, says TWA. TWA has also demanded rigorous audit of performance of the concerned medical institutions in general and Indian Council of Medical Research (ICMR) in particular by Comptroller Auditor General (CAG) of India to fix accountability for failure to demarcate data for the gas victim, their dependents and non-gas victims in 36 wards of gas affected area of Bhopal for the period between 1984-2009.